Acclaimed mime Daniel Stein and Dell’arte graduates Kali Quinn and Bill Celentano are featured in a new show about Polish artist and novelist Bruno Schultz (author of the classic Street of Crocodiles) Schulz was killed in the Holocaust in 1944 by a German officer. The show will be performed at Atlanta’s PushPush Theatre. The play,written by author Murray Mednick, is produced in association with Padua Playwrights. In 1978, Murray Mednick and five other playwrights, including Sam Shepard and Maria Irene Fornes, converged on the old Padua Hills estate in the foothills of the San Gabriel Mountains, just east of Los Angeles. The playwrights, as well as playwriting students and actors, were given free reign to re-investigate their creativity, developing writing exercises for the morning, rehearsing in the afternoon, and presenting the results in the evening. Since 2000, Padua has become a production company that produces works as well as inspires them. 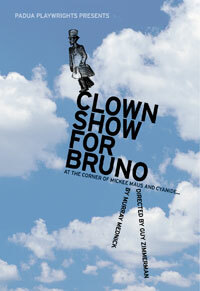 The Bruno Project is expected to tour throughout the world, Poland, Germany, the Ukraine and Israel. 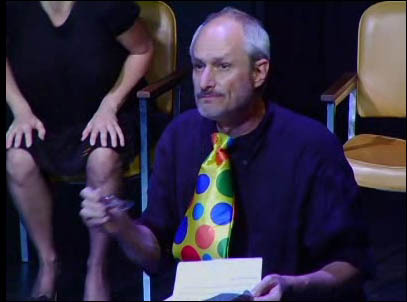 Guy Zimmerman’s direction uses elements of mask, clowning and other theatrical disciplines to underscore the lyrical poeticism of Mednick’s text. This timeless production will speak to audiences at all levels – young and old, Jewish and non-Jewish – but will have a particular impact on younger audiences looking for new ways to understand the Nazi genocide. 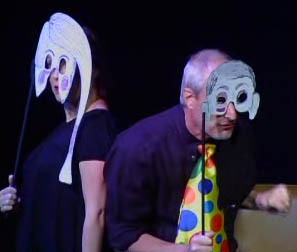 Key collaborators in the Bruno project include, playing the lead, celebrated Commedia performer and teacher Daniel Stein. After attending the professional actor training program at Carnegie-Mellon University, Stein studied in Paris with French master Etienne Decroux, and made his home in Paris for 20 years. On the Padua site, there is a video (apparently not linkable) that you can view which is an interview with author Murray Mednick about the project. The video also features scenes from the production.